Download LiberiOS - iOS 11 - 11.1.2 Jailbreak for 64-bit Devices Released ! 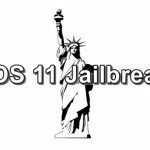 Home › ios 11 jailbreak › Download LiberiOS | iOS 11 – 11.1.2 Jailbreak for 64-bit Devices Released ! Finally, iOS 11 jailbreak now available for public users. 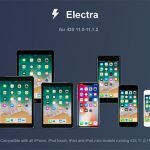 Jonathan Levin just released an iOS 11 – 11.1.2 jailbreak for all 64-bit devices. Here’s how to download new LiberiOS jailbreak for your iPhone, iPad or iPod. What is LiberiOS ? This is new iOS 11 – 11.1.2 jailbreak tool developed by the well known iOS researcher – Jonathan Levin for public use. 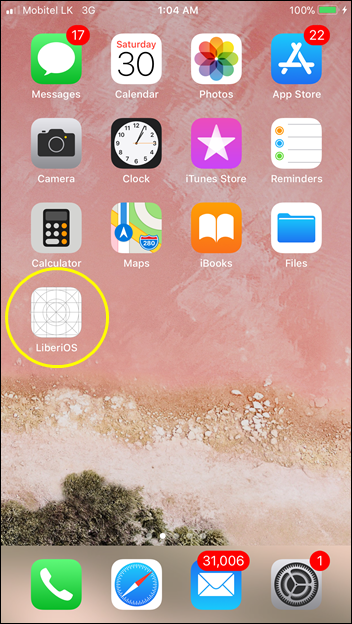 LiberiOS jailbreak tool compatible with all 64-bit iPhone, iPad or iPod devices running from iOS 11 to iOS 11.1.2 version. LiberiOS jailbreak is based on Ian Beer’s iOS 11.1.2 exploit that recently released. Therefor it doesn’t compatible with iOS 11.2 and later versions to jailbreak. Jonathan Levin has also released his LiberTV 11 tool for AppleTV jailbreak. This jailbreak is compatible with 64-bit devices. Update : LiberiOS version 11.0.3 (with fixes for odd use cases I never run into.. most notably FAT self-signed. Should be diamond solid)update released! 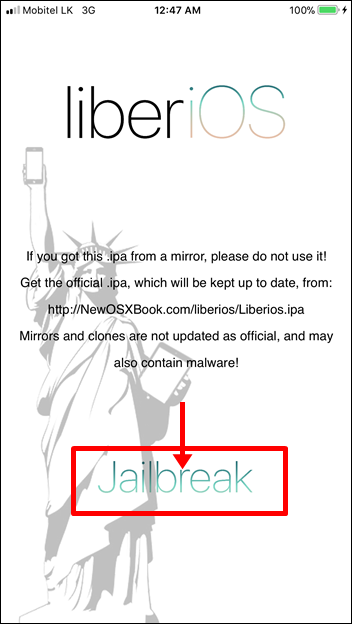 How to install LiberiOS jailbreak for iPhone, iPad or iPod ? Warning : At the time, this jailbreak not includes Cydia and may contain bugs. Therefore we recommend use only for developers. Step 1: Backup your device with iTunes or iCloud to protect your data if something went wrong. Step 4: Connect your iPhone / iPad / iPod to computer using a USB cable. Step 7: Wait for the jailbreak app to be installed on your iOS device. Once it complete, LiberiOS app icon will appear on your Home screen. 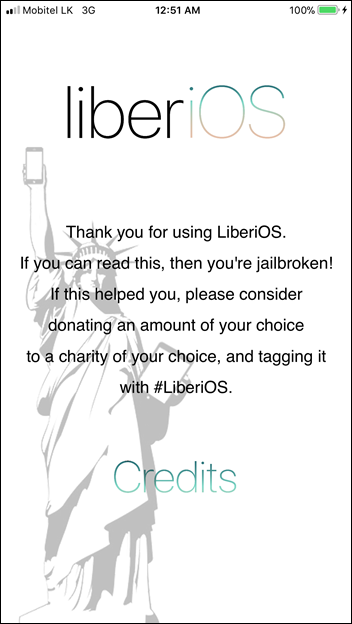 Step 8: Open the LiberiOS app and tap on “Jailbreak” to start the jailbreak process. Step 9: Wait for to complete the jailbreak process. Once it finished, you will get a screen like below. That’s it, you have successfully jailbroken your iOS 11 device now. Please note : Cydia is not installed with this jailbreak process. Because Saurik has not yet update Cydia for iOS 11. Therefore it is better to avoid using this jailbreak for average users. 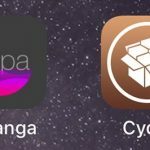 You can not install Cydia or any packages with this jailbreak at the time. Once Saurik updated Cydia, you will be able to do all your favorites things with this iOS 11 -11.1.2 LiberiOS jailbreak for your iPhone, iPad or iPod. Just sit & wait for future update of LiberiOS jailbreak with Cydia. Is it possible to undo this jailbreak? I want my phone back the way it was? If it is possible, could someone send me instructions please?